← How sunny is your garden? Helpful tip to use today! Hey all you city gardeners! Here’s something for your to-do list. 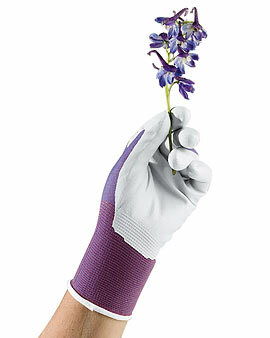 In the next few weeks, focus on trying on and buying new gardening gloves. 1. A good fit is key. Gloves should fit well on the hand, being snug enough to feel like a comfortable second skin but not so tight that blood flow is constricted. 2. A good glove extends beyond the wrist. For me, it’s unnerving when dirt gets inside a glove and you spend time taking off the glove, shaking it out, and then putting it back on and hoping for the best. I’ve found that gloves that extend beyond the wrist – not to the elbow or anything extreme – with some kind of elastic or stretchy materials that fits snugly at the wrist and a bit beyond work best for me. 3. Gloves made of tough, lightweight, water resistent materials are best. I avoid gloves made of cotton or terry cloth. Too flimsy and they feel awful when they get wet. I like the resilience of leather and canvas but both can be awfully heavy on the hands. Need to try on many pairs to see what works best for you. 4. Get gloves with non-skid palms and fingers. 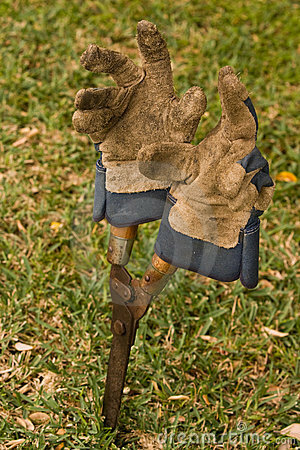 When you are gripping that trowel or hoe and digging through spidery tree roots and weeds, you want to have a tight hold on the tool. Non-skid padding is a must. 5. Get gloves that are easy to clean, or at least claim to be. Remember, gloves are meant to get dirty but most can’t be easily laundered. Read the label and find gloves that dry quickly or can be dusted off or hosed off and placed on a fence picket or other vertical spike to dry.